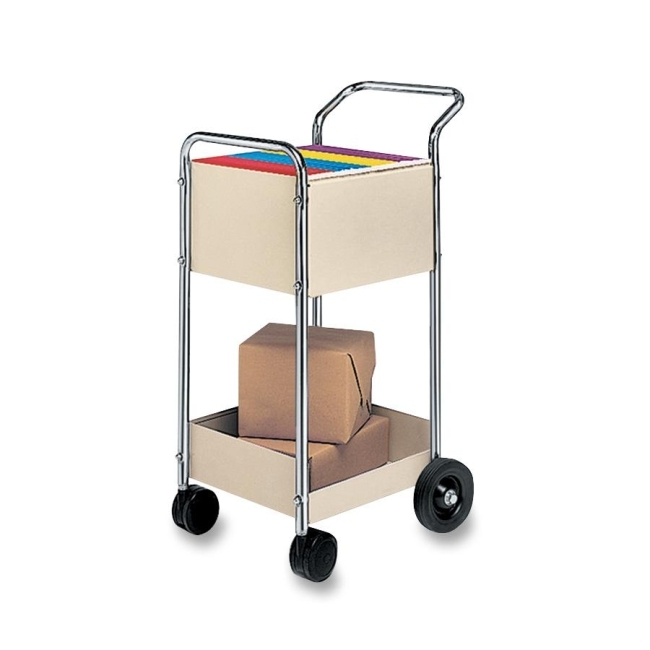 Steel mail cart holds up to 75 legal-size, hanging folders. Use bottom shelf for bulk mail or packages. The top basket measures 16" wide x 18" deep x 10" high. Bottom shelf measures 16" wide x 18" deep x 5" high. Cart rolls easily on two 10" rear wheels and two 4" front casters. Folders are sold separately.